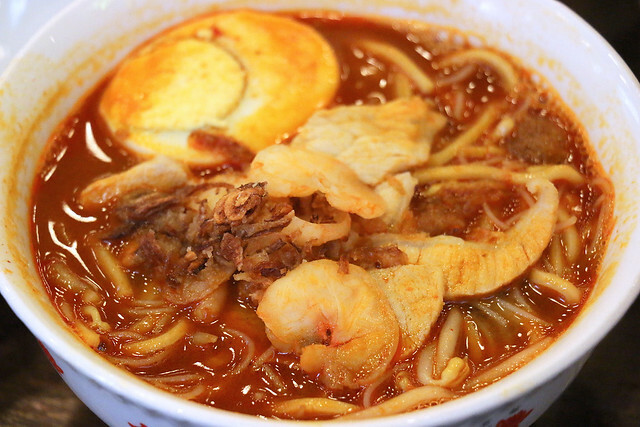 Malaysia Boleh at Jurong Point: Some of the Best Street Food from Penang and KL In One Place! Ah, there's something about street food in Malaysia that draws hordes of Singaporeans up north, and makes Malaysians here completely pining for food back home. Someone saw this need, and went up to Malaysia to learn recipes from famous hawkers, so that we can have them all in one place here. The Malaysia Boleh food court opened at Jurong Point more than a year ago, but is still bustling with fans, despite its location out in the far west (near Boon Lay MRT). We tried out the dishes to see which ones "boleh" (can) pass the test. My verdict is out in Yahoo Makanation. There were quite a few surprises, as you'll see. 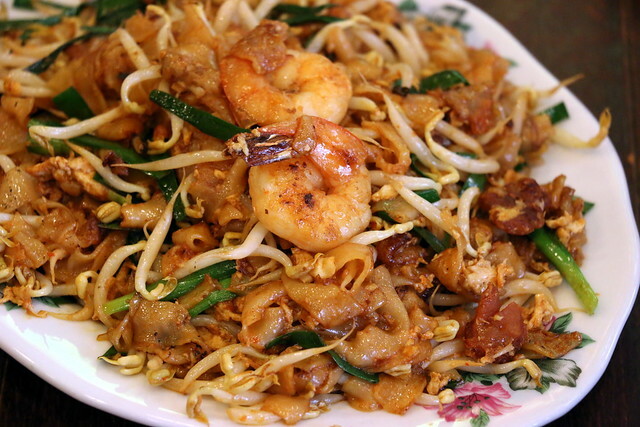 For me, my favourites were not the popular Penang char kway teow (above) or the KL-style dark Hokkien mee (below), but the wantan noodles and curry mee. Not that it wasn't good - the seasoning is lusciously savoury, but the noodles are not the right type. This is more like udon in taste and texture. I do hope they manage to source something closer to the noodles in Malaysia. As it is, they import the very same sauces, condiments and certain ingredients used to ensure flavours as close as possible to the original. Even the even beansprouts are from Ipoh. So yes, these four are really good. 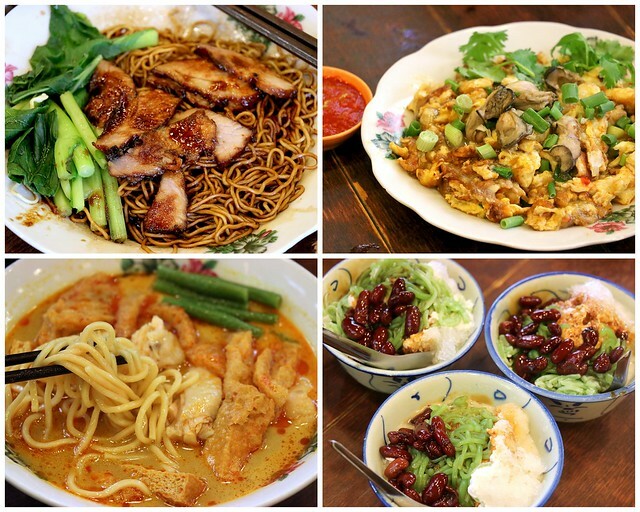 Wantan noodles with dark sauce, pork lard and char siew drippings; an oyster omelette that's unusually runny but comforting, delicious curry mee and chendol! Special mention needs to go to the prawn noodles soup - it's that marvellous broth. 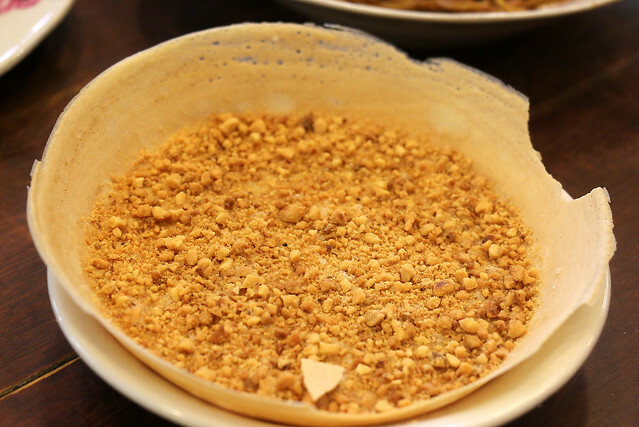 Also don't miss the addictively crispy apom from Gurney Drive in Penang. The original stall there sees a long queue daily, but you can get it here now. Overall is this better than the one at RWS? Hmm, well, I do like more things here than at RWS, but there are certain nice dishes there too, so it depends on what you like. I have another post coming up on RWS's new additions (mostly Penang dishes). Those are pretty good.